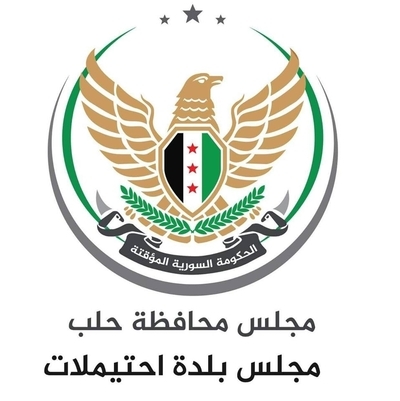 As I mentioned in the preface to my interview with the local council of Azaz, the Turkish-influenced 'Euphrates Shield' zone between Azaz and Jarabulus in north Aleppo countryside features local councils throughout the area that are responsible for services provision. While Turkish investment in the 'Euphrates Shield' zone has brought about meaningful development and infrastructure projects, not everything is rosy in the area. The local council in the locality of Ehtemlat, which lies to the east of Azaz and was recaptured from the Islamic State by Turkish-backed rebels in late 2016, provides an interesting case to examine. On 23rd February 2019, the head of the local council Ahmad Sami Hayani officially tendered his resignation from his position. On the next day, the local council's Facebook page ran a poll asking Ehtemlat residents, aid organizations and foundations whether they were satisfied with projects that the Ehtemlat local council undertook in the time period 1st November 2016-21st February 2019. Since that time though, no new updates have emerged from the page regarding the local council. To discuss further the story behind the Ehtemlat local council that operated from November 2016 until February 2019, I interviewed a source who was involved with the local council. However, I will not disclose that person's name or exact identity in order to protect him. For this reason, there has also been some editing of the interview transcript below. The interview reveals a problem of local rebel faction interference in the functioning of the local council. The interview was conducted on 13th March 2019. Any parenthetical insertions in square brackets are my own. Logo for the local council of Ehtemlat. It reads: "Syrian Interim Government. Aleppo Province Council. Council of the Locality of Ehtemlat." Q: When was the local council for the locality of Ehtemlat formed? A: It was formed on 1st November 2016, on the basis of mutual agreement by the revolutionaries and the people of Ehtemlat. Q: And the council was elected by the notables of the locality? A: By the revolutionaries. As for the notables, they had no role, as Da'esh [Islamic State] was still not far from the area. Q: What was the structure of the council exactly? I mean the number of members and number of executive offices. A: We had a services office, health office, financial office, relief office, agricultural office, legal office. Number of members: ten. Three for each group and one for the minorities. Q: What do you mean by group and minority? A: We have three tribal groups, I mean. Q: Ah. And the minority are the Kurds? A: No, Arabs. But weak groups. Q: Can you clarify who are the tribal groups in Ehtemlat? A: Turkmen, Tai, Jis. For each tribe, three members, and one for the minorities. Q: What were the greatest accomplishments of the local council [in the period of November 2016-February 2019]? A: Ohhhh, long story. The establishment of the Sham school for orphans with a number of 420 students and it is a central school for orphans of 7 neighbouring villages. Renovating and establishing the al-Ziyara mosque to accommodate 1500 worshippers. Establishing a civil defence centre to function for 24 hours a day. Establishing a secondary school comprising 300 students. Renovating a Ehtemlat school for boys. Resolving the problem of sewage for the main street at a length of 930 metres. Laying asphalt on the main street after that a length of 530 metres and a width of ten metres. Rectifying the sewage outlet, modifying it and putting in place pumping mechanisms. Establishing a camp in the locality of Ehtemlat which can accommodate 420 families. Putting into operation a western well of the village with a station, building, equipment, generator and dipper so that around 45% of the village can benefit from it. Striking a contract with the Syrian interim government and giving them 31 dunams to be a centre for the university. Renovating the new school. Renovating the Ehtemlat girls school. 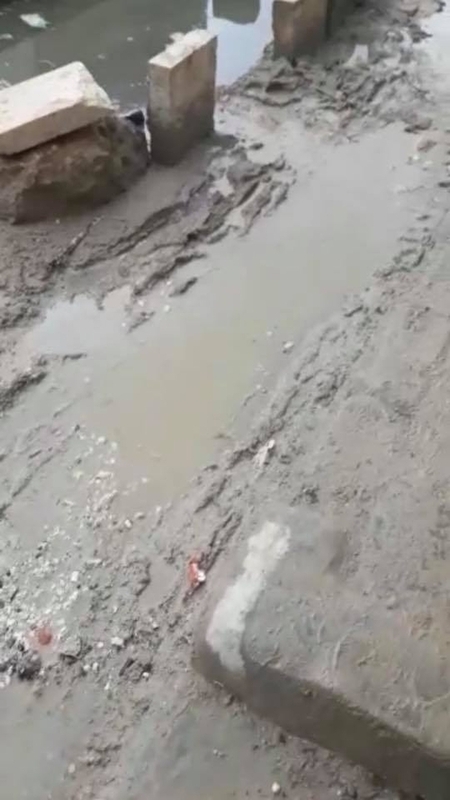 Asphalting the al-Adya-Ehtemlat road of around two kilometres with a width of ten metres. Establishing the martyrs school with a number of schools and capacity of 240 students. Establishing a station for the police and public security forces that will be ready within a month's time. Renovating the local council building at a cost of $7000. Bringing a generator for the other eastern well (besides the western one that was implemented) with a capacity of 160: sufficient and serving around 55% of the village. Implementing civil ID registrations. Appointing three mukhtars. Q: Many accomplishments by God. A: And others we have forgotten. And there were hopes we would do more. But they put forward the head of the council and the mukhtars and notables, in a corruption campaign a month ago [sic]. And there was imprisonment on unjust grounds for 60 days, without right. And they were released by a decision of the Turks: absolving, that is. But we were then surprised the next day by a decision to strip civil rights, and even military ones. And we submitted our resignations despite our readiness to undertake and do more. Q: They were expelled from the local council by a Turkish decision? A: They say that the order was Turkish, but the order was managed by military personnel [i.e. rebels], and the Turks did not intervene. The matter was organized by the Fayaliq [legions] and al-Shamiya [the Shami Front, a leading rebel faction in 'Euphrates Shield' zone]. And 13 people from Ehtemlat were imprisoned: the head of the council, the mukhtars, police and notables. And all were stripped of civil rights. The order was managed, and the matters were fraudulent reports. And there is no power or force except in God. Sir, they do not want the noble ones. They want the one who offers loyalty and licks the shoes. And this is contrary to my revolution and a betrayal of the blood of my martyred brother and other martyrs. Q: So you mean they want those loyal to the [rebel] factions like the Shami Front. A: Exactly. And currently a head of the council will be appointed, disregarding the will of the people of Ehtemlat. If you go back to the page [of the council] and see the general vote you will know how transparent we are, and you know that whoso is not from the council can vote on the accomplishments, as we are sure we worked and offered. Q: What were the biggest challenges the local council faced? A: The routine and the fact we are a branch council, not able to obtain all the rights, and the attempt by military personnel [i.e. the rebels] to gain hegemony over the council, even though I am of the revolutionaries. And we prevented this thing. Q: Did the so-called interim government help you? A: By God, we only saw crumbs from them. And it did not stand with us in the campaign of the National Army [the main framework for organizing the rebel factions in the north Aleppo countryside] and the corruption campaign. How could they be arrested in this manner? And how could our work be stopped with a decision of stripping civil and military rights. Are we Dawa'esh or PKK? While this decision was not taken against the aforementioned. God is predominant [over His affair]. Do you know that the head of the council, three mukhtars, two of the police and revolutionary notables were removed? And that they were removed from the National Army? Q: Currently there is no local council in the locality but the locality is awaiting the appointment of a new council. A: Waiting, but believe me it won't succeed. Because the one who takes away the will of a people, the people must make the project fail. For all agree it is not representative to collect taxes, not to mention that the streets began filling with sewage three months ago. See this street and what became of it when they entered prison. Those present did not deal with the problem. 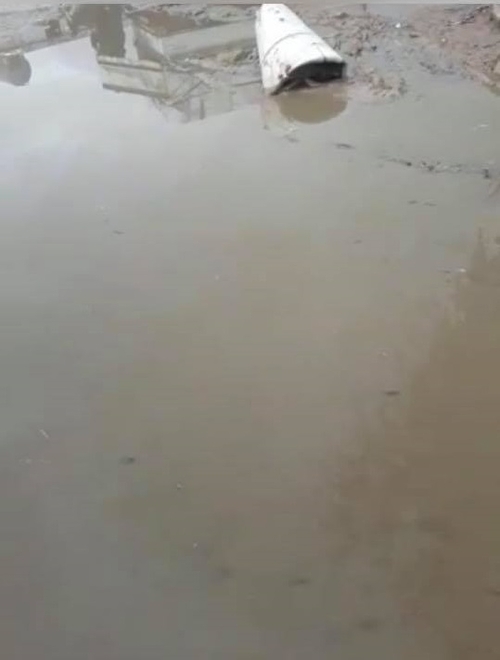 Screenshot from a video sent by the source to illustrate the sewage problem on the street referenced in the interview. Q: True. Did the Turks help the local council? A: Generally. But we did not take our entitlements from services from the central council even though the number of inhabitants of Ehtemlat is equal to Sawran [a neighbouring town]. Q: Sorry could you clarify what is the central council? A: The central council with the Turks, it is like an area directorate, and neighbouring branch councils are affiliated with it, among them Ehtemlat is a branch for example, and Sawran is the centre to which it is affiliated. Q: I see. And it is not affiliated with the interim government? A: [It is] affiliated, but the government is absent. Q: True, so this central council works directly with Turkey. Q: What were the most important sources of income for the local council? A: Flour taxation, flour income. And implementing the role of taxation in a strong and smart sense, in that the bread card was adopted: one could not take the subsidised bread card except with a receipt of water and cleaning tax. That is, something connected with something else. Q: Yes. Good system by God.